Next update will not work with old saved games. 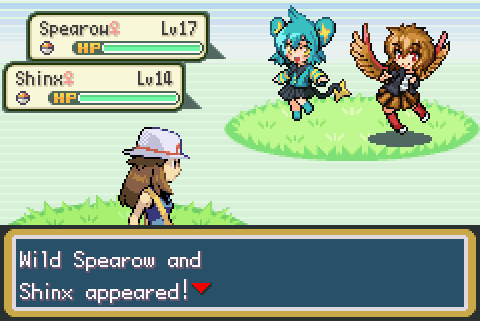 This is the most advance moemon Rom. 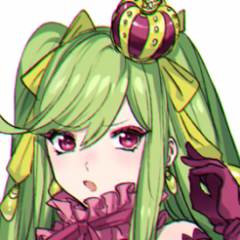 It is specially curated to showcase the highest quality moemon sprite that exist while posing some gameplay challenges. There are many changed aspects include full gameplay changes such as Fairy typing, double encounters, and MEGA EVOLUTION. New Moemon Emerald. Randomization is supported and recommended. Most of the features were done with the help of a pokecommunity baserom. Art quality standards will exist, but generation 4, 5, and 6 are there to be covered. Any criticisms will be concise. I will include any worthwhile submissions from generation 4-6(and likely 7 as well). This is essentially an completionist project. Mega evolution are allowed to be a a bit crazy in concept, as long as sufficient quality is determined. The current demo allows the mega-evolution of Latias, Charizard, Blastoise and Venusaur. Megastones and the Mega-Braclet can be bought in Cerulean City's Pokemart. 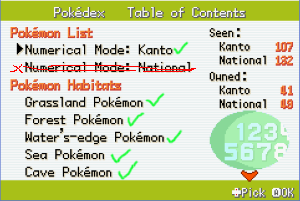 National Dex is in Pewter City Pokemon Center. Sun stones and Moons stones are bought there as well for impossible evolutions. LeafJewel's Drive of Moemon Sprites. 4)Flash as a field move is invisible in the Pokemon menu. 5)False Swipe and Brick Break Have been replaced. 6)Minor pokedex glitch for post-heonn moemon captures. 7) Breeding certain moemon may hatch the wrong egg. If you use an OS other than Windows, you're the expert. Don't ask question that are answered by Google, posts, and readmes. Kanto is basically done going by frontsprites, due to a great effort by @laGashetaHardcore. A lot of decent moemon need backsprites. Here are some moemon that frontsprites need litter or no work. I have added link in the OP to sprite collections which can be raided for backsprites. I am working on Growlithe myself. These frontsprites are not final though so another source could be use. Another sprite appears in the old thread if preferred. The latest hitmonlee is pixelly. Kadabra is far too low in quality. Zero stuff exists for mega-starters. That's what's left to Kanto. Here's where I got the mega-beedrill sprite if someone wants to play with that. Luxray is something for me to look forward to after the first playable version is out. I'm going to make Porygon cost about 70% less. Porygon is never in actual gameplay these days. I recruited Glameow and Purugly as the first gen 4 moemon. Dark types are perfect for rounding out Team Rocket. The back needs a fancy ponytail, but I can't do art. Please, I need to start getting help soon. If talent was no concern, I'd hop on the project in a second. This is great! Highest encouragement to you, and a "thank you" on behalf of Moemon fans everywhere. Things are looking lovely so far. I'd love to try helping out with some minor things, though quality may not be fantastic. The old forum actually had a Mega Charizard X in one of the posts. I think it was deleted, but luckily I saved the picture (I've been lurking for a long time). While I'm at it, let me post this back sprite I made for Toottoot's (I think) Zapdos. I made it entirely from scratch and it was my first ever attempt at spriting anything, so there are bound to be plenty of things that can be touched up/edited. That back Zapdos is very good for being made from scratch, although the face is plain in stark contrast to the frontsprite. I suggest you download and look through the backsprites, although that is very close already. Welcome to the PokeMMO forums. I wasn't sure what kind of style you wanted for the megas (completely different compared to the base or just an edited base), but at least I know now that you want more unique mega designs. As for Zapdos, I agree that her face is rather plain, but I'm not really sure what aspects of it need to be changed to make it look better/more expressive (is it the eyes, the mouth, the shading, the face shape, etc?). If you or anyone else thinks they can fix any problems/issues or touch up any of my sprites, or even just have a different idea of what they should look like, feel free to edit them. So I had tried to make Venomoth's ponytail, but it wasn't working out. Then I remembered that the Butterfree base had been updated and had a much smaller head, so I just elongated the frontsprite's ponytail and stuck it on and recolored everything else. I'm sure the backsprite needs to be edited more, but how is this for a start? Well there's no standard for Mega Evolution yet, but so much of that sprite is color swap(Especially the backsprite wing). Mega evolution isn't analogous to age like normal evolution is, but the sprite should be it's own thing. The face can stay, although a bit more about the hair should change. Some work. Dress was just improvisation. For Beedrill and Latios, their designs are super different from their megas. They were essentially different styles matched up to something more intense. There's no underlying reality when it comes to power-ups, but it should be impressive. Remember that the actual transformation is happening in battle. The face is a mismatch. Splicing is suggested, although winking might work. it says i can.t play damo? I tried to match the front's smile, but it turned into more of a smug smirk when combined with the closed eye. The winking isn't the same without the the other eye. Here's my attempt. I think you need to look at more backsprites. Your eyes seem to need to be bigger and more prominent. Mega Moemon Firered Project can i play it on DeSmuME? This patch is for Firered. You'll need a gameboy advanced emulator, not a NDS emulator like DeSmuME. Zapdos isn't smiling and only has blush under her eyes in her frontsprite which is why I made the backsprite's expression so plain. I made a couple of face edits with bigger eyes, so let me know if either of them is any better. The edits to Venomoth look good to me. By the way, have you tried contacting members from the old thread to see if they're interested in helping? I don't think progress will be made quickly if it's just the two of us working on sprites. The mouth on the front looks like a lot of smiles in animation, with a broken line representing lips. Have you considered making the back taller? She's rather on the low side. I've actually never thought she was short because I made her height in reference to this Articuno, which is 45 pixels (90 pixels in the x2 size) high from the tip of her ponytail until the where she gets cut off. Zapdos is 42 pixels (84 in x2) high from the top of her head until the bottom of the image. To me, it made sense for Zapdos to be shorter than Articuno overall because I was measuring Articuno from a point higher than where I measured Zapdos from and I wanted the bird trio to be of similar back height. Regardless, I've gone ahead and made her two pixels taller (so 44 pixels in x1 and 88 in x2). I was not aware of that Articuno. Her wings aren't even feathered. Some of the backspites are very tall, with heights such are 56 for something like Dodrio. Well, the Zapdos looks good to me now. I can handle the shiny if you prefer(I did a lot of them to get this far). The trio are all merely paler hues. What page did you get the Articuno in the original post from? The one I have is from page 207 and was the newest version of it as far as I can remember. And by feathered, do you mean highly detailed like Spearow's backsprite? Otherwise you might be looking at the angle wrong because that black line on the back's wing is actually supposed to be the bottom of the topmost feathered section. I'll admit that the angle of the backsprite's wings are different than expected from the frontsprite would imply. I normally recolor everything into their Gen V palette for both regular and shiny forms, but if you want different colors then go ahead and change them. Edit: Here's a version using toottoot's original Zapdos colors and the blue shiny colors from the old Zapdos.